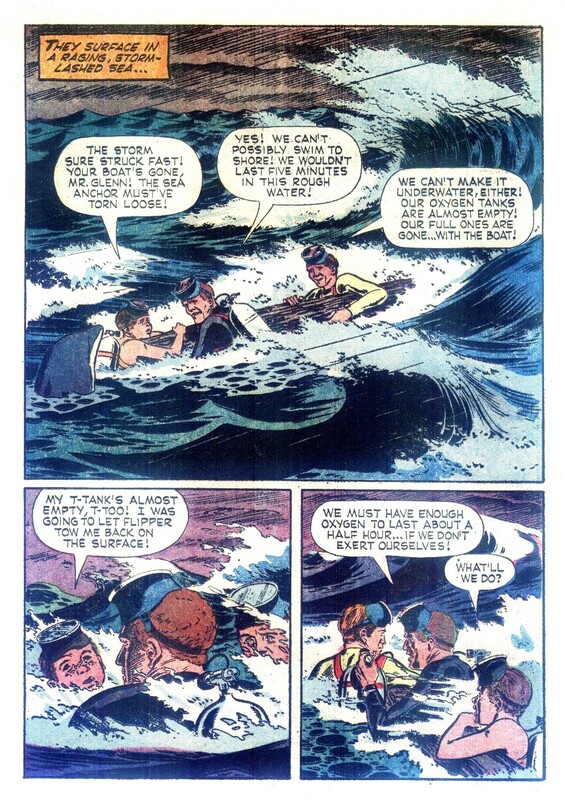 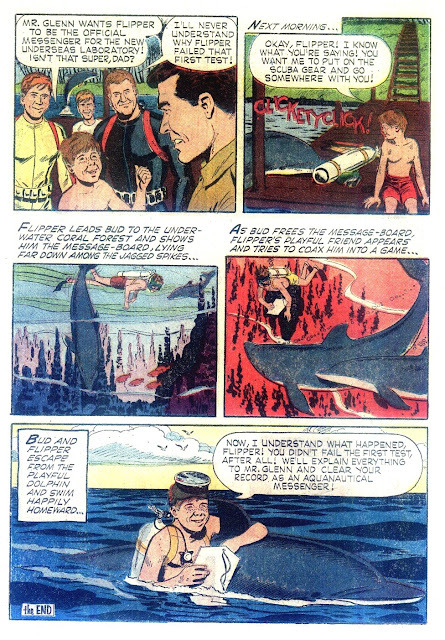 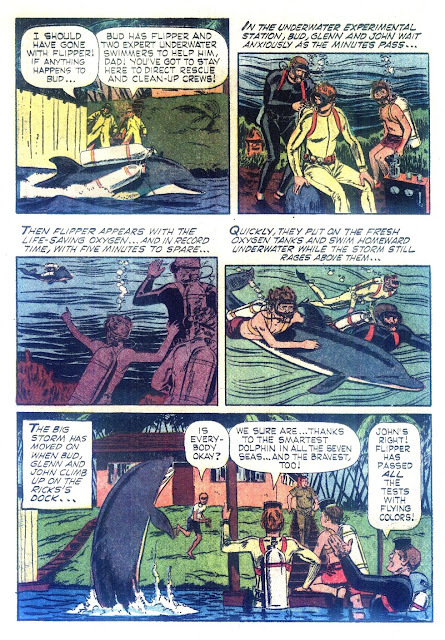 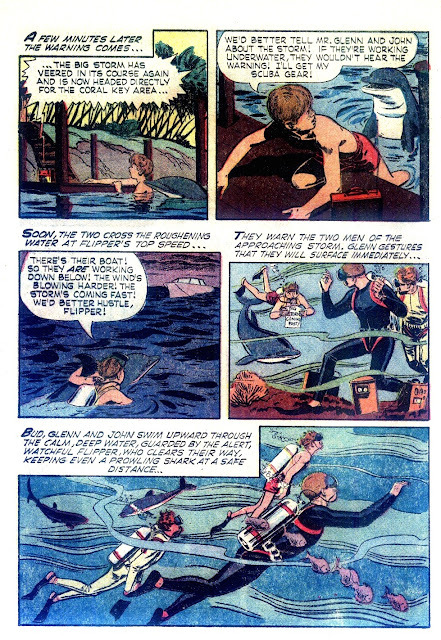 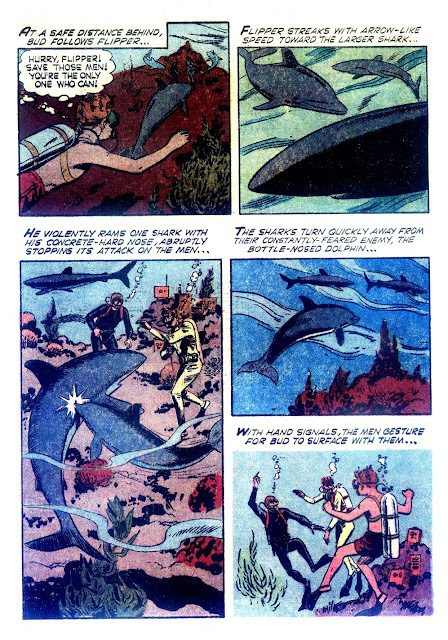 The Final Test was the lead story in the first issue of Gold Key's Flipper comic. 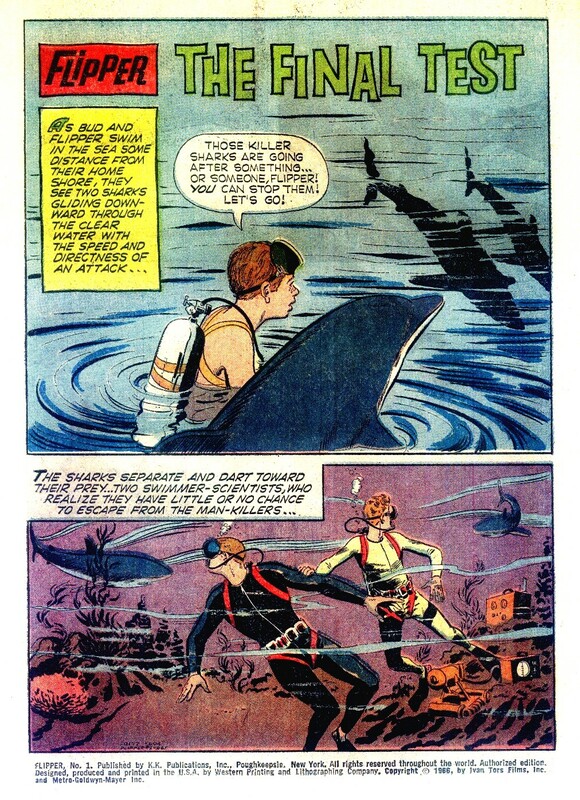 Art by Dan Spiegle (Click for larger images). 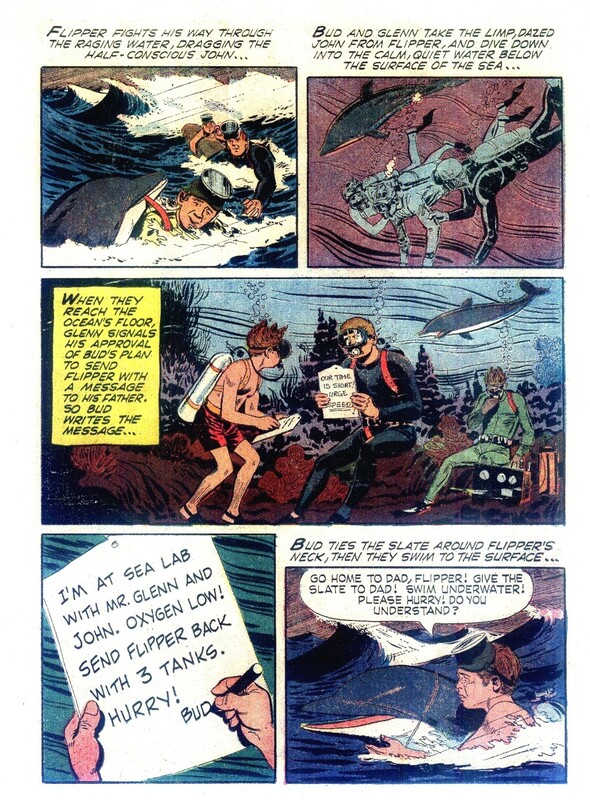 The two scientists want to test Flipper to see if dolphins could act as messengers for divers working underwater. 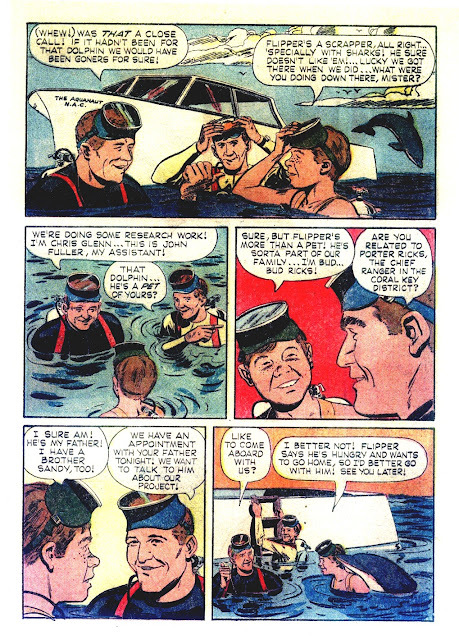 Unfortunately, Flipper loses the first message he's given due to another playful dolphin. 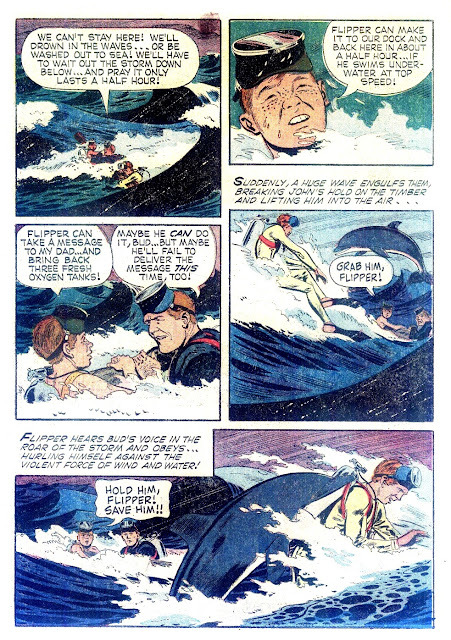 Later, Bud and Flipper go to warn Glenn and Fuller of an approaching storm. Flipper returns home and Ricks and Sandy equip him with the extra oxygen (sic) tanks. Another happy ending thanks to Flipper!